During usage of facebook etc unnecessary data retention occurs outside the domain of national sovereignty so actual leaders cannot use such things and whosoever use cannot lead their countries. Simply the worst kind of information imperialism is served by the usage of all such things upon client-server architecture of world-wide-web until a peer-to-peer functioning of internet is ascertained. By ignoring this fundamental fact of internet, IT departments of all governments have become infantile disorders. Political illiteracy through the age of internet is now dismantling sovereignty. Whatever so-called IT departments of all governments are doing by expending so much of public money without addressing the problem of data retention at first is really irresponsible. Here L K Advani and Richard Stallman finally talks politics and technology. L. K. Advani: (To Shardul Pandey & Richard Matthew Stallman) Dear friends, Upon internet I have come across your interesting and enlightening discussion but one point needs some elaboration so that I may possibly intervene positively. While discussing that governments are imposing censorship and surveillance on the internet, Mr Richard says that it is especially bad in India, where web sites can be shut down without a trial because they might offend someone. I request you to bring in my notice if there are any specific cases so that I may ask the respective authorities for correcting this situation. Almost every other thing said during your discussion was really helpful in grasping the reality of internet for a politician like me. So thankfully I have separately sent my autographed prison diary and my blogbook to be forwarded to Mr Richard Matthew Stallman to show how much India has always been concerned for the right to freedom of expression. I would appreciate if my this letter is published on your technology media along with Mr Richard’s comment on my country so that most of netizens know that India’s political establishment is not that bad but all of us can surely cooperate to make it much better. I and many like me have always been against all sorts of surveillance and censorship, that curtail individual freedom and social privacy of society. Thousands including me and many Members of Indian Parliament were even jailed for this during the emergency imposed by a dictatorial government. I extend my best wishes for a peer-to-peer restructuring of internet as you people concluded in your scientific discussion, but till then every time I will certainly be taking strongest possible political measures for guaranteeing freedom of expression. 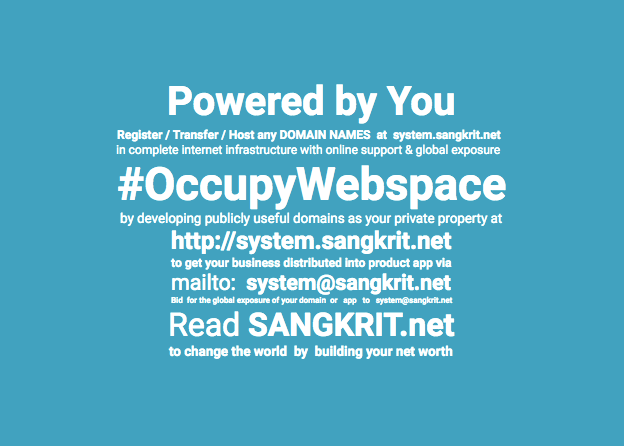 Shardul Pandey: (To Richard Stallman) I received an email from India’s senior-most politician L K Advani in response to our discussion published upon SANGKRIT.net that I am forwarding here for your kind attention. Other than this I received two of his books signed by himself for you. I can send these books by courier upon the address that you want me to send to. Richard Stallman: (To Shardul Pandey) He asks for cases where sites are shut without trial. I have seen articles about this, but I did not save the references. So I will have to ask people in India to tell me about some. Do you know what he was jailed for, under the emergency? Regarding the books, if you would like to send them, you can either send them to the US or to Europe, depending on which is easier/cheaper. Shardul Pandey: (To Richard Stallman) I know that he was jailed under emergency as almost every other politician not subjugated to then Prime Minister Indira Gandhi was jailed. Most of arrests then meant for detention without trial. A few laws like MISA were then especially made to deprive people of their freedom. L. K. Advani: (To Shardul Pandey) A law was enacted during the 1975 Emergency known as Maintenance of Internal Security Act- popularly known as MISA. This was a law for not only detention without trial; it was a law which had a provision saying that as during the Emergency all Fundamental Rights under the Indian Constitution were suspended and one of the Fundamental Right is Right to Life and Liberty, therefore, no grounds for detention need to be communicated to the person arrested. Richard Stallman: (To Shardul Pandey) Does the letter give any way to send a reply to him? Shardul Pandey: (To Richard Stallman) Yes you please lead in replying to this upon the e-mail id from where it has come to us. His letter mainly shows unity with the concept reflected in our conversation. Many things L. K. Advani understands much better than other politicians and is very much willing for finding ways to ascertain individual freedom of people in general. Just like you, he too doesn’t use facebook or twitter. Being most respected man of honesty in politics he could become the natural national outcome. Richard Stallman: (To Shardul Pandey) Ok, I will send to that email address. Thanks. Richard Stallman: (To L.K. Advani) Dear Mr Advani, Thank you very much for writing to me. I hope we can meet to discuss these issues some day when I am in India again. In the meantime, leaders of the Free Software Foundation India, and their lawyers have been working on issues of civil liberties online. I invite you to meet with them in the near future, so that they can explain in more detail what is happening, and how a future Government of India could help to protect peoples’ rights online that current government policy is harming. The current Government of India’s “IT rules” have been used to enforce censorship by requiring private parties to block and filter websites, to do the Government’s censoring for them at private expense. Criminalization of legitimate expression through arbitrary usage of Section 66A of the Information Technology Act, arbitrary blocking and filtering of content by the Department of Telecommunications without transparency or regard to statutory rules, imposition of intermediary liability on unrelated categories of intermediaries through Section 79 of Information Technology Act, and cutting off Internet access on the basis of alleged infringement of copyright has been going on since 2011. Police down to the sub-inspector level have been armed with wide powers to arrest anyone for posting any content that can cause inconvenience or offend someone. The thirty-first Report of the Parliamentary Committee on Subordinate Legislation has recommended the Government to take another look at the Information Technology Act and make appropriate amendments, but we have only seen excuses in the name of protecting state security or preventing defamation. My colleagues will be happy to provide your staff with copious examples of all these forms of censorship and abuse of power by the current Government. They can also tell you about free/mukt/swatantra software and its implications for freedom for users of computing. With free software, the users control the program. With nonfree software, the program controls the users, and the owner controls the program; thus, the program becomes an instrument for unjust power of the owner over the users. This injustice is why software should be free. I hope some day to have a chance to discuss these issues with you. Meanwhile, I can introduce you to my colleagues via email if you say the word. L. K. Advani: (To Richard Stallman) Dear Dr Stallman, I think if your people in India can do something in specifying the cases about which you mentioned earlier, then it would truly bring in a valid reason for me to determine my own political intervention. I do believe that like Mathematics and Science, Medicine and Software should also be kept free to serve humanity most effectively. Towards that every cooperation I would like to take along the course of determining that much. It is really nice that you would like to come along to see me during your next visit to India. I look forward towards that as an opportunity to understand what can be done by Indians passionately committed to the fundamental right of Freedom of Expression can do and should do even with regard to communication online. Shardul Pandey: (To L. K. Advani & Richard Stallman) I would like to see the next Government of India developing a very close cooperation with the legendary leadership of internet freedom so that that no website is ever shut down under any pretext. Domains must have some sanctity as private property upon internet just like human life, human mind, human body and human abode. They are all essentially inviolable for the freedom of humankind. Previous PostOpen Clip Art: Download Free Clip Art Images To Use In Your Website, Blog Posts Or Anywhere Else You LikeNext PostHow To Easily Manipulate WordPress Administration Menu Colors ?